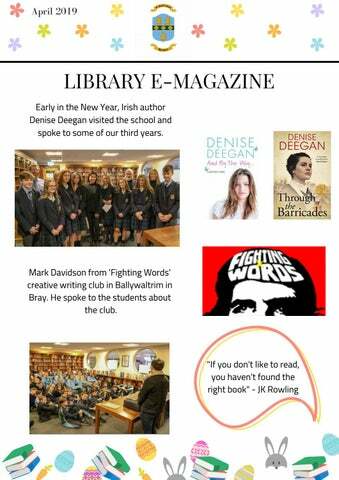 LIBRARY E-MAGAZINE Early in the New Year, Irish author Denise Deegan visited the school and spoke to some of our third years. Mark Davidson from 'Fighting Words' creative writing club in Ballywaltrim in Bray. He spoke to the students about the club. “I have always imagined that paradise will be a kind of library.” - Jorge Luis Borges An example of some of the magazines available for perusal at the library. 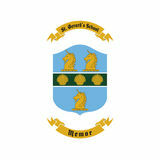 Past pupils Jonathan Hozier Byrne and Caelainn Hogan visited the school to speak to the sixth years about their career choices in film and journalism. Once again, a big thanks to our library monitors who give of their time to make sure the library is available for everyone to use!